You’re about to finish your training contract. You’re weighing up your options…Should I stay or should I go? Should I join another team? Should I move into industry? Should I get experience in other areas? Should I take a year out? As exciting a time as this is, it’s also a tricky one to navigate. Meeting a good recruitment adviser and getting the right advice on your professional future has never been so important. But have no fear we have an expert team in Barden who are ready to provide you with the objective information, guidance and support you need to know before you start applying for roles – internally or externally. Heather Gordon is a Senior Associate with our Recently Qualified Accountant team in Dublin and leads on the recruitment of accounting professionals in the practice and consulting space. She also supports the recently qualified accounting market for those seeking industry accounting roles. Since joining us Heather has been an integral part of the team. She is driven, dedicated, kind and professional in all she does and a champion of the Barden Career Model. Prior to joining us team Heather worked in the Human Capital Consulting team in Deloitte, where she gained first-hand experience in a wide range of areas such as organisation design, people analytics and project management. Her background in a Big 4 consulting firm provides her with a unique insight into opportunities in this area. Contact Heather at hgordon@barden.ie or via LinkedIn. Lisa Hughes is a Senior Associate and expert in recently qualified accounting careers. She is part of our Recently Qualified Accountant team in Dublin. Prior to joining us she completed a Bachelor of Science (BSc) in UCC, gained her ACA qualification through training with KPMG and went on to complete a Diploma in IFRS from Chartered Accountants Ireland. She qualified as a Chartered Accountant in 2015 and completed her training contract in KPMG‘s financial services audit department, working predominantly on aircraft leasing clients and advisory assignments. Last year Lisa took a sabbatical from Barden and spent the last 9 months travelling and working in Australia and New Zealand. During her time in Australia, Lisa was a Specialist Recruiter in commerce, industry, audit, risk and compliance with T+O+M Executive. T+O+M Executive is Sydney’s leading specialist recruitment firm especially in the area of experienced audit, risk and compliance professionals to the Australian Financial Services Industry. Contact Lisa at lhughes@barden.ie or via LinkedIn. Neil Murphy as Associate on our Recently Qualified Accountant team in Dublin. He completed his Chartered Accountants Ireland (ACA) qualification in 2011 and trained with Deloitte. After qualifying he spent some time in corporate banking where he managed a large portfolio of both commercial SME’s and personal customer account. Following this he relocated to Australia where he held a variety of roles in financial accounting and analysis across MacQuarie and AMP, before taking on a leadership role as Performance Reporting Manager with Commonwealth Bank in 2015. In his role Neil specialises in recently qualified accounting careers. He is trained in the Barden Career Model ™ and will use same to coach and mentor recently qualified accountants at critical stages in their careers. Contact Neil at nmurphy@barden.ie or via LinkedIn. Kate Flanagan is a Partner with our team in Dublin. She holds a Bachelor of Business and Legal Studies from UCD. Kate trained as a Chartered Tax Consultant (AITI CTA) with PwC in Dublin. Following this she spent some time working with Deloitte in London and Dublin, and went on to live and work in Australia for a time, as a Tax Specialist. Kate moved to the recruitment profession and since then has specialised in the recruitment of tax professionals. She is an expert within the tax and treasury market, and has advised professionals on career and industry trends and has contributed first hand to the careers of many professionals in Ireland. Contact Kate at kflanagan@barden.ie or via LinkedIn. Ed Heffernan is Managing Partner of Barden Ireland. In 2015 he founded Barden, with Elaine Brady. He has worked for many years in recruitment both locally and internationally, within the accounting and tax space. Ed has worked with 1000s of accountants nationally on career moves and is a regular contributor to industry publications, including Accountancy Ireland & Accountancy Plus. A UCC grad Ed holds a number of qualifications in personnel management, human resources and later completed an MBA with Trinity College Dublin. Contact Ed at edheffernan@barden.ie or via LinkedIn. Barden is where recently qualified accountants go before they start looking for a job. 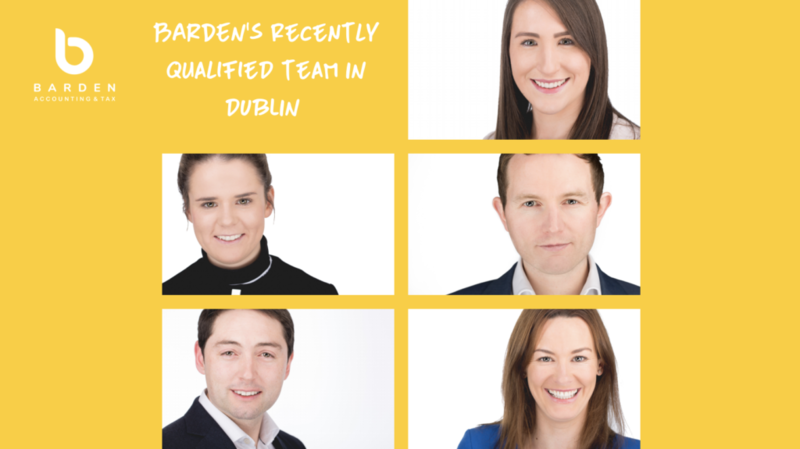 When you meet Barden you will be meeting Ireland’s most experienced financial recruitment team, many of whom are themselves accounting and tax qualified. Your future is too important to leave to chance. Take control, get informed and plan your professional future with Barden. Drop us an email at hello@barden.ie and we’ll get in touch to arrange a time and date that suits you to start planning your professional future.